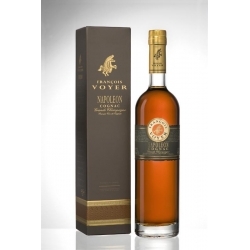 Bouquet : Voyer ‘Extra’ is a cognac where the attributes of the Grand Champagne ‘terroir’ reach their pinnacle. 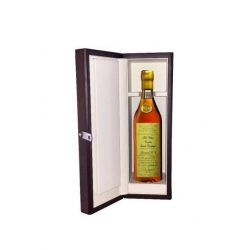 It is a ‘fiesta’ of exciting aromas and tastes; oriental spices, vanilla, dried fruit and nuts, mixed with the unmistakable perfume of cigars which characterize very old eaux-de-vie. Taste : The complex mix of oriental spices, cinnamon, cloves, vanilla and hints of fruit and walnuts are released flavor by flavor on the palate. 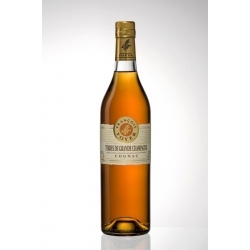 This cognac will delight and tease, with a strong taste explosion that threatens to overwhelm your senses and yet beguiles them to the finish. How to Enjoy : Enjoy it straight or on the rocks. 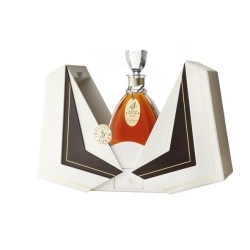 This is not a cognac to be hurried; leave it warming in the glass for at least 10 minutes to allow the bouquet develop. 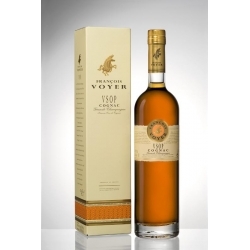 Sip it slowly and relish the complexities of its flavors - With Voyer ‘Extra’ you have unlocked the secret heart of the Premier Cru of Cognac. Best before a meal, after a dessert or with coffee. 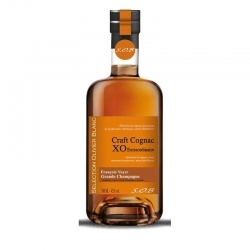 Gold Medal winner at the Paris Concours Général Agricole 2010. “For those who don’t what to follow the crowd” Restaurant Magazine.“Coup de Coeur 2010” Guide Hachette. Given 90/95 by The Wine Enthusiast. “The Best we can expect from an ‘Extra’ in Grand Champagne” La Revue des Vin de France 2010. “Elegant and Complex. 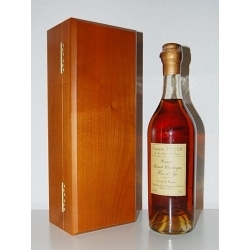 A Champion” Cognac Magazine 2010. 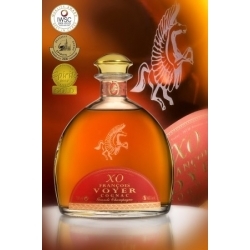 XO Extraordinaire - François Voyer (Grande Champagne) / Selection Olivier Blanc In a cozy cellar a cognac to taste surrounded by old woods, spicy fragrances and sublime flowers. 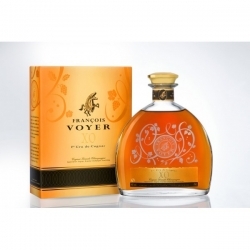 Exceptionnel - François Voyer (Grande Champagne) / Selection Olivier Blanc A perfectly chiseled jewel, eternal treasure!